The mission of TheGVBC is to serve as ambassadors of our Savior & Lord Jesus Christ by making disciples of Jesus from all nations. 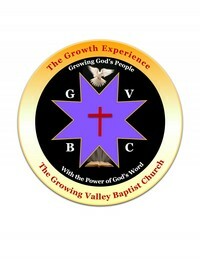 The vision of TheGVBC is to develop a Holy Spirit filled and saturated body of believers in Jesus Christ who are constantly being transformed by the Gospel of Jesus Christ, exhibiting that transformation through an authentic love for God, self, and others as empowered by the Holy Spirit and the grace of God. Jacob D. R. Johnson, a native of Cleveland, Ohio is the son of Wendall and Carrie Reeves. Often described as a sincere man after God's own heart, Pastor J accepted his call to preach at the age of 23. A year later he was licensed by Psalmist & Pastor Dr. A. Charles Bowie in September 2004 at the East Mount Zion Missionary Baptist Church in Cleveland, Ohio. His initial sermon served as the message for the oridination of 6 Deacons who were commissioned to serve. In 2009 Pastor Johnson was ordained by one of this nations greatest evangelist, Dr. J. Louis Felton at the Galilee Baptist Church in Kalamazoo, MI. His testimony centers around Paul's words in Ephesians 3:8 which say "Unto me, who am less than the least of all saints, is this grace given, that I should preach among the Gentiles the unsearchable riches of Christ". Pastor Johnson is serving as the fifth Pastor of The Growing Valley Baptist Church of Lancaster, CA. His watch began officially on July 31, 2011 where GVBC and the community celebrated "A Gift From God's Heart" (Jeremiah 3:15). A loving, anointed, and appointed Pastor, Teacher, & Evangelist- "PJ" - as he is commonly called by the youth of GVBC seeks to serve this present age thru the message of the cross of Christ in a practical way. From day one he has been a blessing to both the church and the Antelope Valley Community. Following a Moses of our time in the person of Pastor Walter E. Forte Jr, Pastor Johnson has truly become our Joshua leading with confidence, charisma, and character. Most importantly is the fact that Pastor Johnson is a bible teaching, bold preaching, Holy Spirit filled servant leader who is always seeking the more excellent way for his family, this ministry, and our community. Perhaps one of Pastor Johnson's greatest achievements has been the establishment of the Community Contact Center For Growth or 3CG. 3CG is a non-profit organization birthed out of Pastor Johnson's desire to meet the needs of the Antelope Valley community in a more tangible and targeted way. Realizing the church's focus on the soul is paramount to her mission, Pastor Johnson led GVBC in establishing 3CG. The organization is committed to meeting the needs of the community by providing access to family services, personal growth and development opportunities, community awareness programming, and health and wellness education for all people. Pastor Johnson is a 1997 graduate of Cleveland Benedictine High School having won three OHSAA State Championships (Basketball & Track). 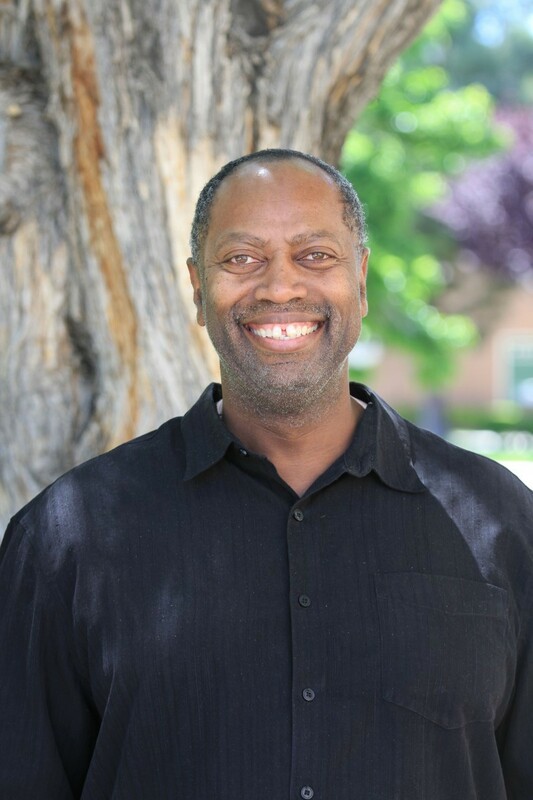 He earned a Bachelors of Arts Degree in Political Science from the College of Wooster and is currently pursuing a Master of Arts Degree in Ministry Leadership from Grand Rapids Theological Seminary. He is the founder of Equipping You With the Word (EYWW) Ministries, an author, golfer, domino, and spades player. Transformation of worship services to include Male and Youth choirs and praise team with blended music for all worshippers, and REAL CHURCH for our youth ages 7 to 17. Establishment of the following new ministries: Seniors 4 the Savior, Salutations (Greeters), Health & Wellness, Scholarship, and Pastoral Care. Renewal or restructuring of the following ministries: R.E.A.L. Youth (Reaching, Encouraging, Accepting, & Loving), Y.A.D.A. (Young Adult Disciples of Christ, Growth Spurt Newsletter, Trustees, Worship Arts, 3S: Single, Saved, & Serving, It Takes 2 Marriage, and Christian Education. 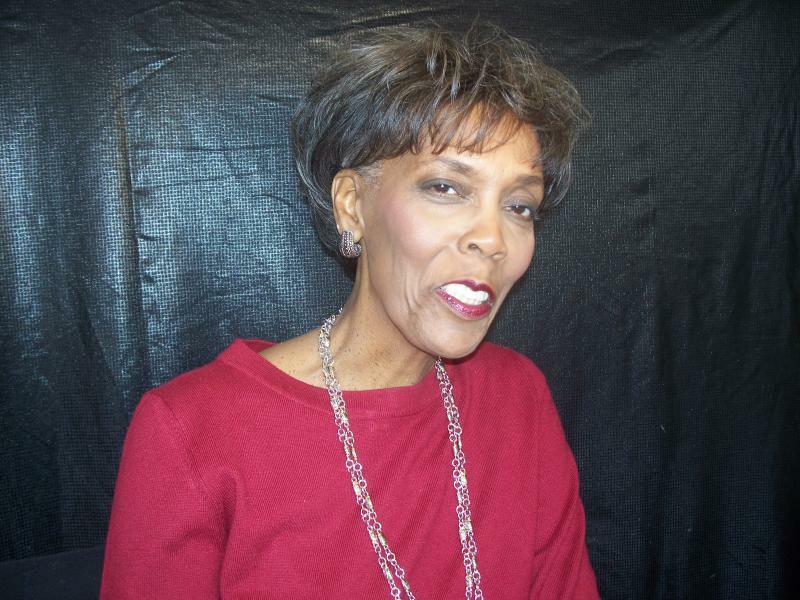 Pastor Johnson is married to whom he often refers to as 'the crown jewel of Tylertown, Mississippi", Sharon D. Johnson. Lady Johnson helped develop the 3S-Single, Saved, and Serving Ministry, and serves as Advisor to the IMPACT Women's Ministry. They are the parents of Joshua Grant. We welcome Shammara Woods as our new Church Lead Administrator!!!! More info to come on Sis. Shammara!!! Welcome to TeamGVBC! My parents, Everett and Lillian Dyson were both inspirations to me of how love, perseverance, and faith in God can impact ones's life. I attended and graduated from the public schools in Richmond,VA. I received a B. A. in Elementary Ed. from Hampton Institute, now a University, in Hampton, VA; and an M.E.. from the University of LaVerne in LaVerne CA. In my professional career, I taught grades 3-6 with the Richmond Public Schools (VA) and the Lancaster School District (CA). 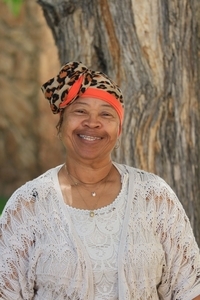 Also taught English at Antelope Valley JR. College, retiring in 2006. My husband, Donald (Reginald) and I were married for 36 years. 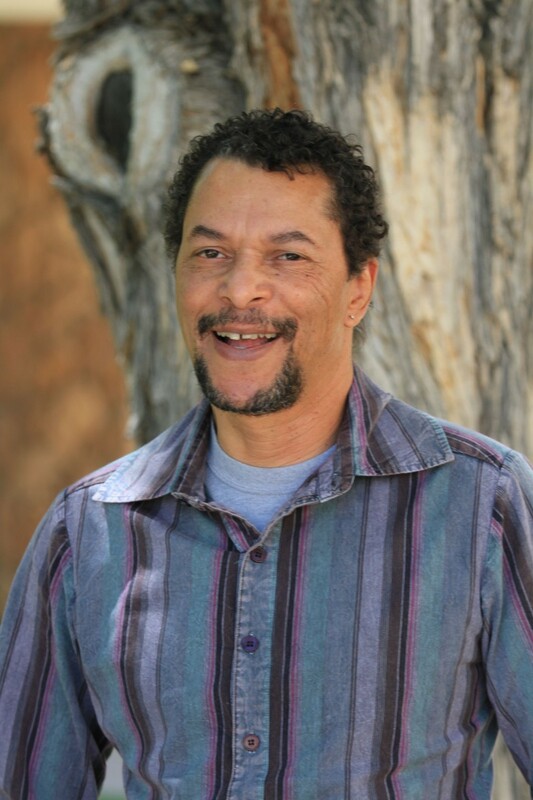 He had two children from a previous marriage, Darryl and Deidre, which made us an instant family. My biggest blessing was when the Lord made it possible for both my husband and I became members of the same church, The Growing Valley Baptist Church. I also am a Charter Member of the Lancaster Alumnae Chapter of Delta Sigma Theta Sorority, Inc. since 1983 in which I have served in various leadership roles. My favorite scriptures; "I can do all things through Christ which strengthen me" Philippians 4-13 and Psalms 23. Bro. 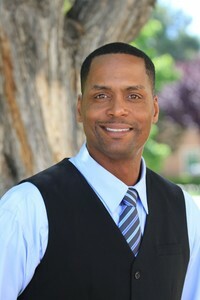 Marlon Barnes has been a member of GVBC since 2012. He and his wife Sheila have definitely made an impact among this body of believers. Bro. Barnes is a very gifted believer, as he currently is playing the bass with our music ministry team. He has played on cruise lines, taught lessons, and much, much more. We are blessed to have such a Spirit filled and humble man providing a "bottom-line" sound on the strings! Brother Marlon Started playing Bass in the 6th grade in public school Orchestra in 1974 in Gary IN. My musical addiction started by being a voracious listener as a child. Gospel via my Grandmother (a Protestant Bishop). Jazz from my Dad's excellent record collection, vocal Pop from my Mother's radio selections and from my own devotion to Pop/R&B/Free Form Rock radio and forays into various ethnic neighborhoods in Brooklyn, NY (Puerto Rican, Italian, Jewish, Irish, Caribbean, etc). One birthday I received a small transistor radio. I'd listen to it every available moment during the day. And every evening, instead of getting the required sleep for an adolescent, I'd have it on all night under my pillow. While in Junior High School, determined to become a participant as well as a listener. I convinced my Mother to get me a set of drums. I could play any Hendrix, Cream Doors, Rascals tune you could name and did so in a number of local bands. However it was the innovative Hendrix guitar sounds that made me switch from drums to guitar at 17. My eye opening experience with the realities of the record industry came during my tenure with one of L.A.'s. 's all Black Rock groups in the 80's (pre Living Color). It was there that I actually saw how the sausage is made. Without going into detail, it was not a pretty picture. That experience made me "fall back on" my technical background and go to work for an historic manufacturer of recording equipment. Mission statement: To produce and disseminate music by less known artist who are as good as or better than the stars. This company will be eclectic in terms of genres but will not indulge in music, which is purely commercial. We will produce music of high character and emphasis will be on music with strong statements either instrumentally or with lyrics. In other words: music as art, not cheap entertainment the masses. The musician and technical life paths have allowed me to come in contact with past, present and possibly future icons of the music industry. Applications accepted through April 29, 2016 or until position is filled. SCOPE: The church groundskeeper helps support the overall mission and vision of the church. Specific scope is to maintain the upkeep of the exterior of the surrounding outside grounds of the church property. SCHEDULE: 3-5 hours/week; schedule to be set through Supervisor-Vice Chair of the Trustee Ministry. PAY: $10.50/hour; 20-25 hours/per month; extra hours upon pre-approval by Supervisor. QUALIFICATIONS: High school diploma or equivalent preferred; physical strength and agility to perform extended manual tasks; must be able to lift and carry 75 pounds. Experience in grounds keeping or willing to be trained preferred. Accomplish work related task in a timely manner. Please note the hours are seasonal and can change given the seasons. The role holder needs to be aware that the gardening and maintenance duties will vary depending on the time of year, the needs of the church at any particular time and weather conditions. Directions will therefore be given by the immediate Supervisor one month prior to work in order to oversee the work that needs to be done, as well as actual hours worked. Please e-mail a resume and cover letter to trusteeministry@thegvbc.org. Paper copies will NOT be accepted.